From his rural Ohio River roots, former Wheelersburg Pirate and Ohio State Buckeye, Josh Newman, is using what he’s learned along the way to make a difference in Penn State baseball. State College, PA – Former Ohio State Buckeye, and major league pitcher, Josh Newman is no stranger to long odds and hard work. Nothing comes easy in the game of baseball, he declares, and he’s the walking, talking embodiment of what he preaches daily to willing listeners at Penn State University. 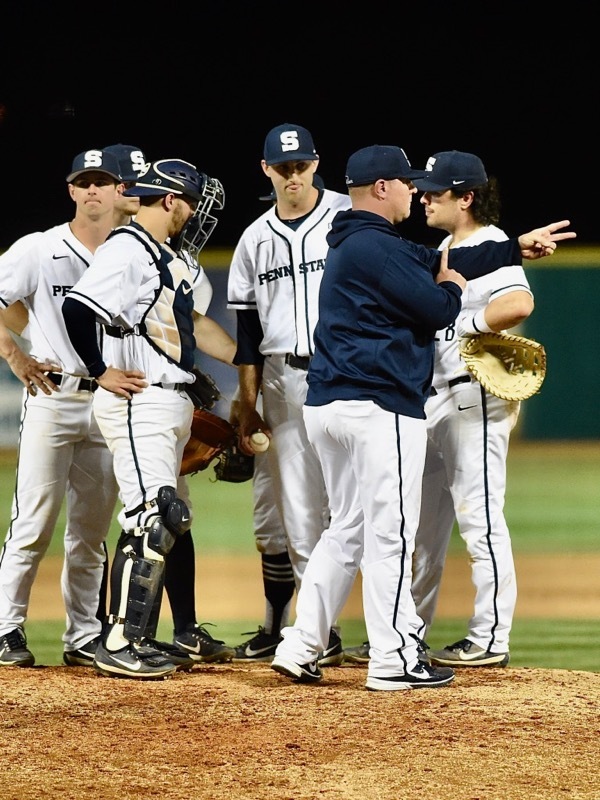 In his first year as pitching coach for Rob Cooper’s Nittany Lions, Newman identifies better than perhaps anyone on how to take what others perceive as a negative and make it into a positive – light at the end of the tunnel, if you will. He grew up in tiny Wheelersburg, Ohio, in Scioto County – down on the Ohio River – and learned his baseball at the hands of legends like Gene Bennett (long-time Reds scout), Al Oliver (18 years with the Pirates, Rangers and Expos), Larry Hisle (former Phillie and Twins outfielder), Don Gullett (Reds), Brandon Webb (Diamondbacks)…and the list goes on and on. From 2001 to 2004 he pitched on desire and what he now calls an 86 mile-per-hour fastball for the Ohio State Buckeyes – a teammate of Nick Swisher – and succeeded by having a plan, working hard every day to be true to that plan, and getting every drop of fulfillment out of the experience of just being a Buckeye. Having made the most of that experience and a burning desire to compete, he went on to play five professional seasons after being selected in the 19th round of the 20o4 major league draft by the Colorado Rockies. After three years in the minors he made his big league debut in September of 2007 – was on the Rockies’ World Series roster that same year. He was later picked up by the Kansas City Royals the following year, and made his last major league appearance in September of 2008. He returned to college baseball the following year to serve as an unpaid assistant at Ohio State (2011-’14) before moving to Marshall University as that school’s pitching coach, where he saw three of his proteges’ selected in the 2016 major league draft. 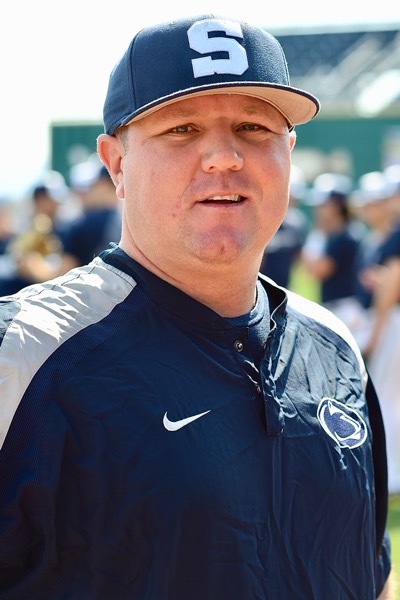 Last fall he got the call from Rob Cooper to join him at Penn State, a program that needed a dose of what Newman has drawn on for years…and he accepted the position of pitching coach for the Nittany Lions. “It’s a challenge,” he said of PSU’s current 7-20 record. “Lost a tough game last night (1-0) to the Buckeyes, but that makes about a dozen games that we’ve lost by a run this year. It’s going to take some time, and it’s about recruiting, and getting more players in here. But we’ll get it done. He owes a lot to Ohio State, yes, he’ll tell you. But more, he draws upon the roots of his upbringing in Wheelersburg…where the culture of that community has always been to pay forward to the future. And now, Newman gets that same opportunity to be patient, to teach, and share his personal experience of success with a program that’s determined to improve upon their current record. For years former professionals have found it hard sometimes to coach, given their own abilities that exceeded those of whom they’re trying to teach. Newman understands, because he’s been in the shoes of both. “The evolution of the game is constantly changing, and it always will,” he says. “I try to stay at the forefront of that to give my guys all the opportunities to be successful. I’m constantly learning myself, because the game changes, so what I did is not necessarily going to be what works for someone else. When I was with Coach Beals as a volunteer…Jim Tressel once told me that you might have all the knowledge, but you won’t be successful until your players understand how much you care about them as a person. You have to do that, and then you have to communicate. 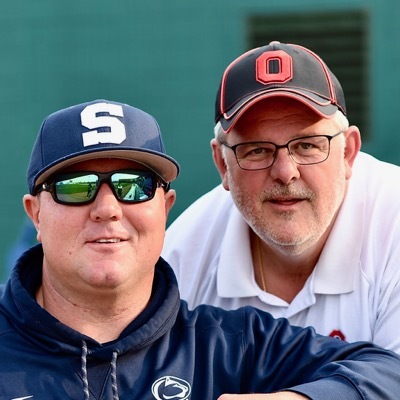 True to his roots…Newman spent time with old friends from Ohio State – Bill Wells (above) – prior to Friday’s game. A devotee’ of the attributes learned from youth baseball, he worries about its future – of travel leagues and ‘elite’ teams that put a premium on the ability to pay, rather than a kid’s desire to play and learn. 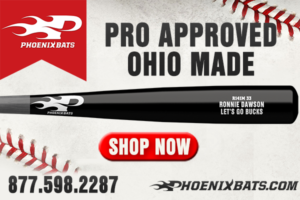 We make bats for every level of baseball, and every use…even “fungos”. Phoenix is proud to sponsor the 2018 Buckeyes. And with that motivation in mind – in the forefront, as he says – Josh Newman looks forward to a brighter future for Penn State baseball. It’ll be a future based on having a plan, being there every day, believing in yourself. It’ll be a future based on relationships and friendships, regardless of how far you advance in baseball. Like life, it’s not an easy game. Josh Newman learned that in Wheelersburg, and at Ohio State. Care for others, and let them know. He still remembers. 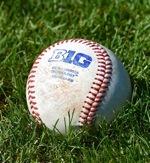 Sheward-Fulks is proud to sponsor coverage of Buckeye baseball on PressProsMagazine.com.